Who Pays For The Insurance On A Lease Car From Flexed? One of the biggest costs of running a car or van is the insurance and whether you buy a car outright or lease, insurance is required if you want to drive on UK roads. However, many of our customers are left a little confused as to who’s responsibility it is to insure a lease car, as the customer never actually owns the vehicle. So who does pay for the insurance on a lease car? When you lease a car or van from Flexed it is your responsibility to insure the vehicle by taking out a fully comprehensive insurance policy or GAP Insurance. Insurance For My Lease Car – Who Pays For It? 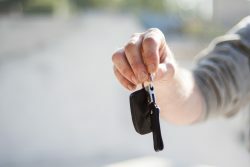 Despite the fact that when you lease a car you never actually own it, it is still your responsibility for making sure it’s insured and therefore you who has to take out an insurance policy and pay for it. When you lease a car or van you must ensure that you take out a fully comprehensive insurance policy, or you could look at Guaranteed Asset Protection (GAP) Insurance as an option. The reason you’re required to take out the highest form of vehicle cover is because you don’t own the car, the finance company does and are therefore the ones who hold the V5C registration document and remain the registered keeper and owner of the vehicle for the duration of your chosen lease period. If your lease car or van was to be stolen or ‘written off’ after being involved in an accident, having GAP Insurance would cover the difference between the actual cash value of the vehicle and the balance still owed on the lease. Generally, when you take out a fully comprehensive insurance policy it costs more, so if you’re trying to stick to a budget with your lease, it could be worth considering this fact when it comes to choosing the right car. We recommend checking out the cost of insurance before deciding which car you would like to lease, so you can be sure the monthly payments plus running costs won’t overstretch you financially. When it comes to buying insurance for your lease car, the best advice is to shop around. Don’t necessarily opt for the cheapest price, instead make sure they are reputable and that they are offering you the right type of coverage. There are comparison websites where you can fill in your personal details and information about the car and the best prices on offer from numerous insurance companies are provided for you to compare or you can simply shop around yourself. If you can afford to pay for your annual insurance cover in one lump sum, this could save you money. Paying for your insurance on a monthly Direct Debit basis can cost more in the long run. When leasing a car you must inform the insurance provider of the fact that it is a lease vehicle, so that there’s no confusion in the event of a claim. Always be honest and upfront with your insurance provider, as giving false information or withholding something could invalidate your policy or lead to it being cancelled. With Personal leasing, the person who’s taking out the agreement must be down as the main policy holder or a named driver on the insurance certificate. If it’s a Business lease, the insurance certificate must show the company name or a director’s name. You need to make sure that your lease car is insured from the day you collect your vehicle or when it’s delivered to you if you’ve chosen a delivery. The car must remain insured right up until the vehicle is returned. For more information regarding our business/personal car & van leasing services and fantastic offers please give us a call on 0800 311 8290 or simply fill in our ‘Quick Quote’ form for a reply within the hour. Can’t see the exact model you’re interested in leasing? Please get in touch: talk@flexed.co.uk or chat with us NOW via our online ‘We are here!’ service.